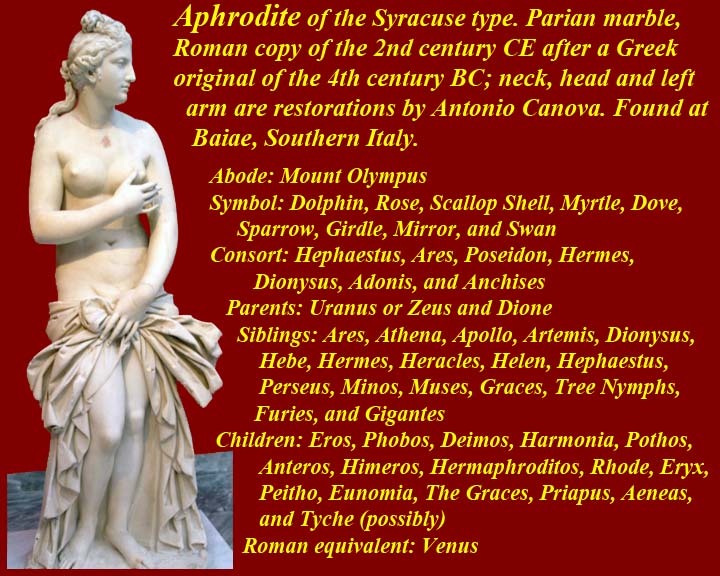 The Olympian gods were the main gods of Ancient Greece. 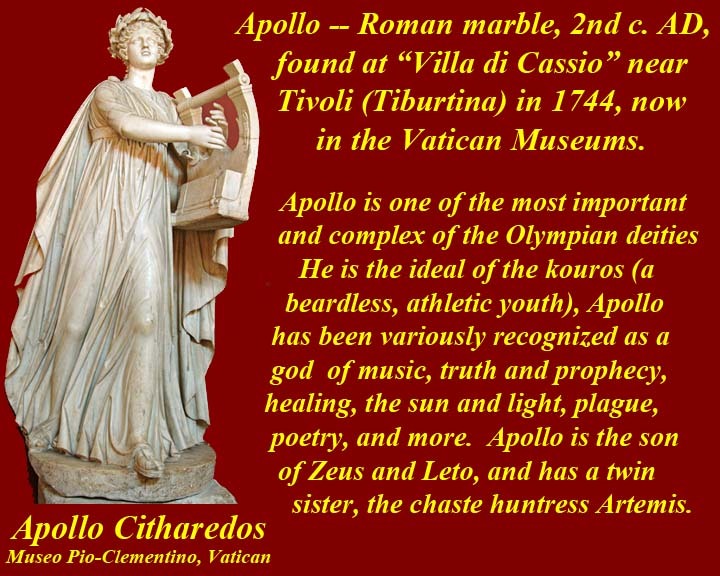 After overthrowing their ancestors, the Titans, the Olympian gods became the rulers of the World (Cosmos), representing the civilization of the world. 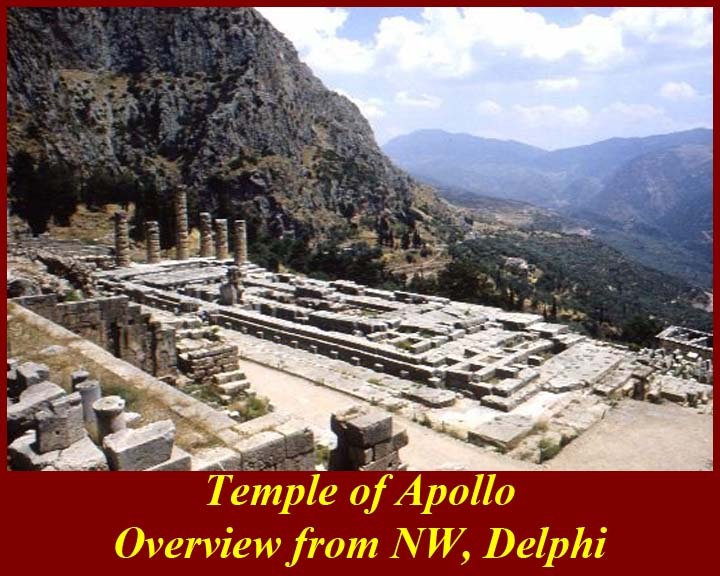 The Olympian gods majestically and democratically dwelled on Mount Olympus, the highest mountain in Greece, built by the Cyclopes. 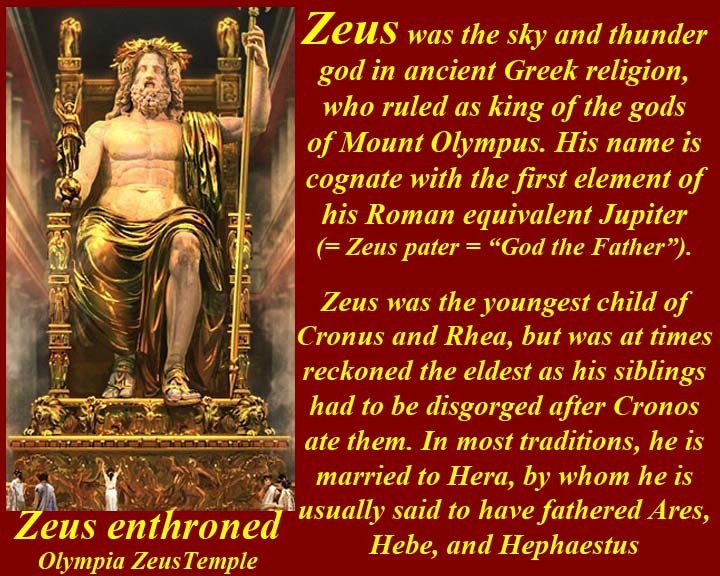 The leader of the Olympian gods was Zeus. The gods were born and grew just like human beings, some of them even married, however they were unaging and death never came to them. They lived inside human-like bodies with an ethereal fluid called ichor running through the veins. They had passions and human weaknesses and were many times at fault, but were then obliged to take the full responsibility of their actions. 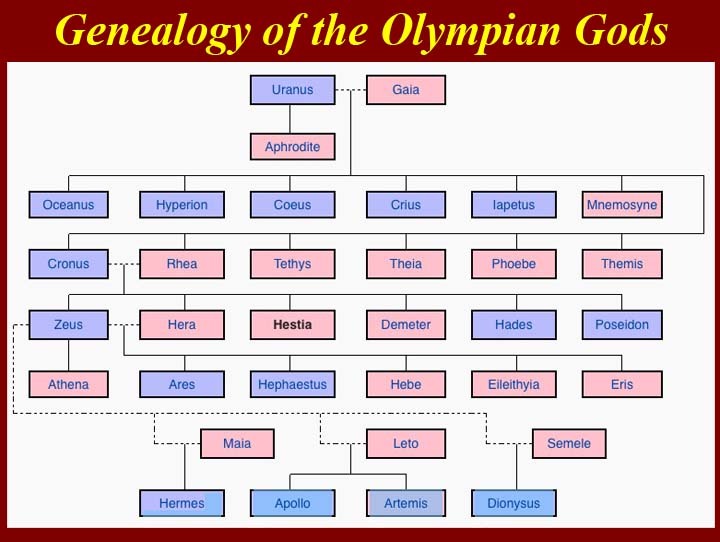 Greek myths always refer to the twelve Gods of Mount Olympus, but actually, in total there were more Olympian Gods in Greek Mythology. However, there were never more than twelve at one time. 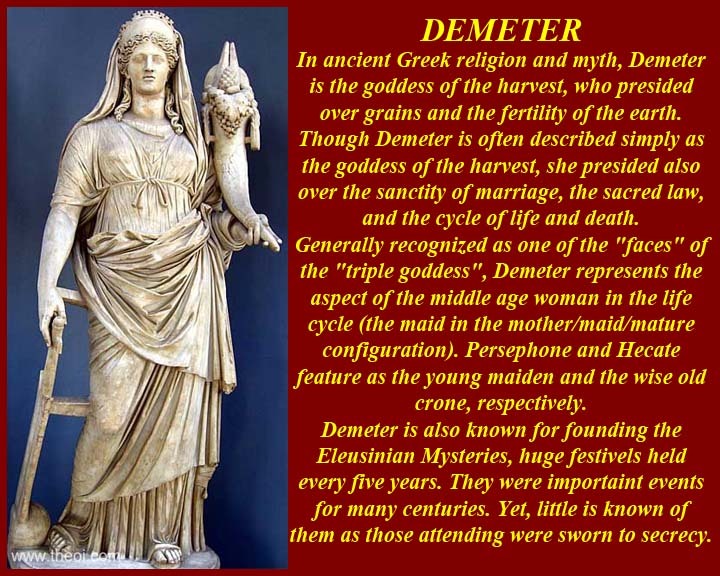 The four alternative gods were Hestia, Hades, Dionysus and Demeter, depending on the location. 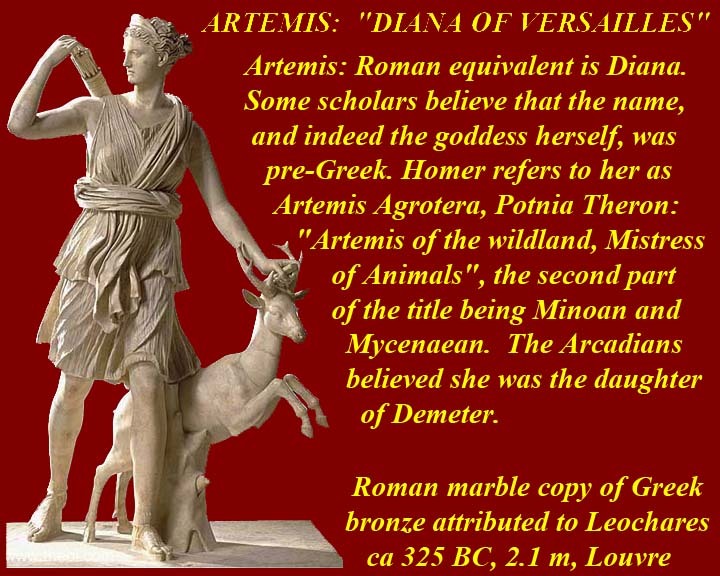 "Greek Mythology" refers to stories made by the ancient Greeks about the occurrences of daily events. Generally, myths arise when man attempts to explain how certain natural phenomena could occur, or to explain open questions like "What happens after death?." 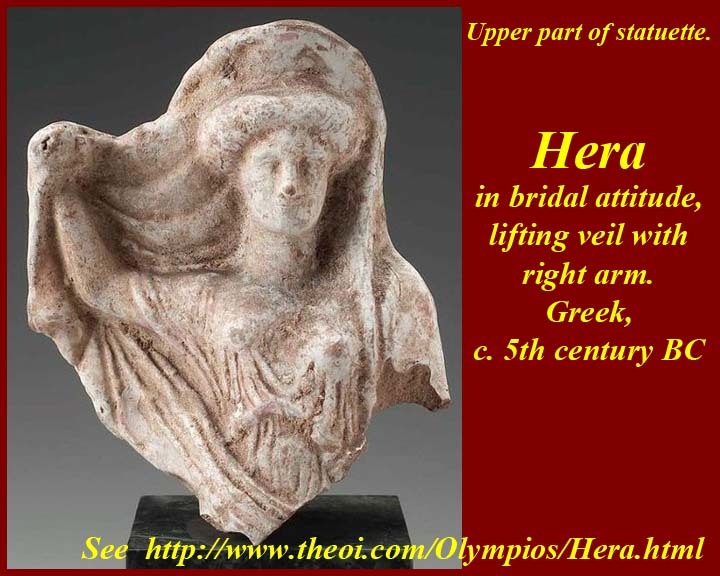 One of the oldest known Greek myths is the epic poem of Odyssey, telling the story of the Greek hero Odysseus and his long journey home following the fall of Troy. 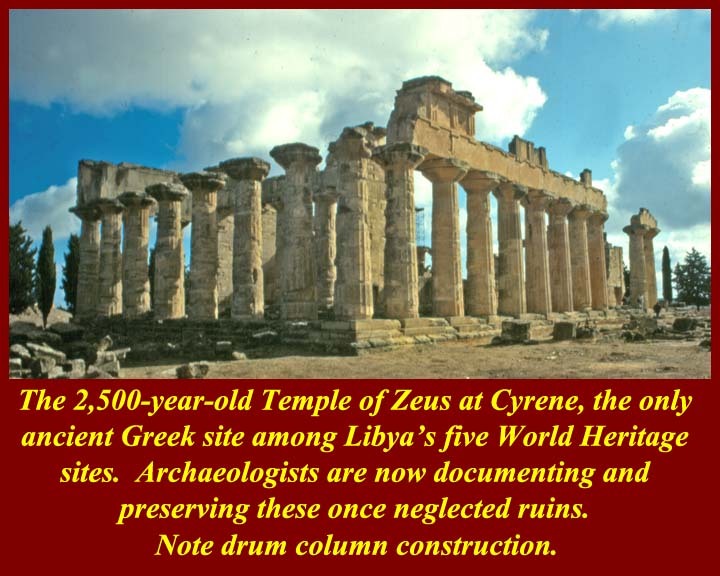 In modern days, references to many of these myths are found in archeological dig-sites. 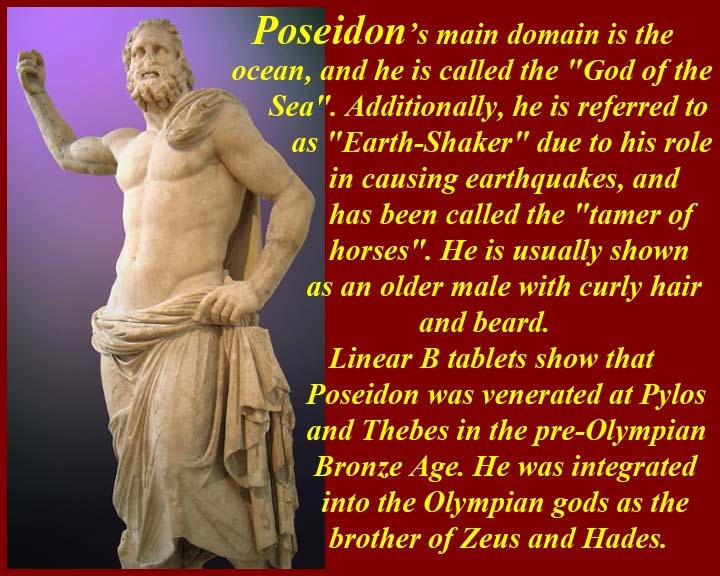 The Twelve Olympians, also known as the Dodekatheon (Greek: Δωδεκάθεον，δώδεκα, dōdeka, "twelve" and θεοί, theoi, "gods"), were the principal deities of the Greek pantheon, residing atop a mythical Mount Olympus. 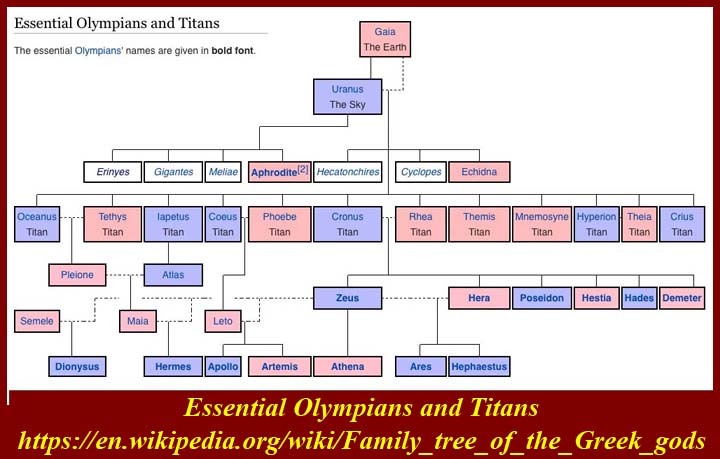 The Olympians gained their supremacy in a war of gods in which Zeus led his siblings to victory over the Titans. 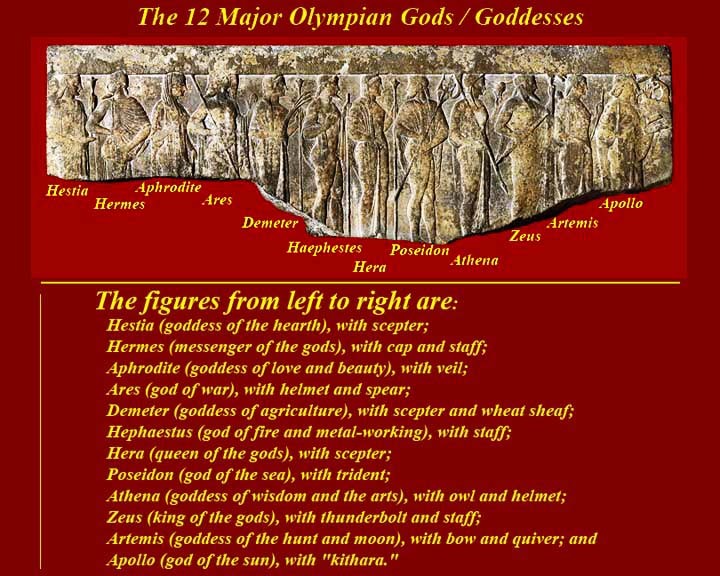 The concept of the "Twelve Gods" is older than any extant Greek or Roman sources. 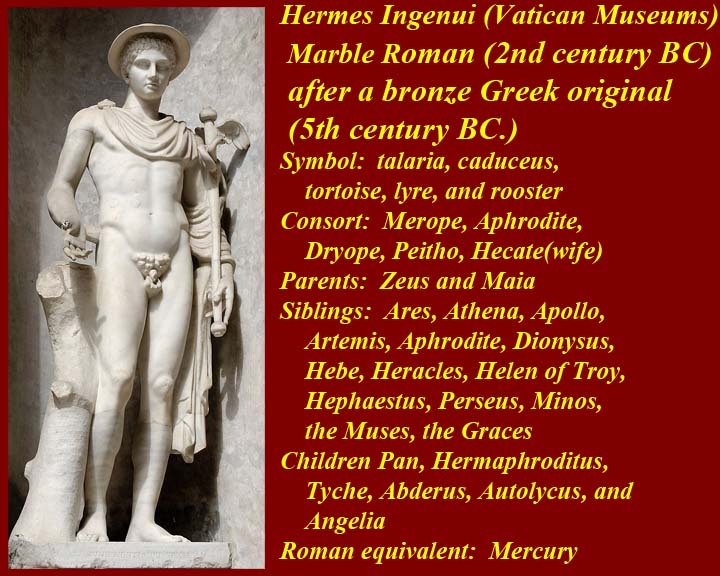 The gods meet in council in the Homeric epics, but the first ancient reference to religious ceremonies for the Olympians collectively is found in the Homeric Hymn to Hermes. 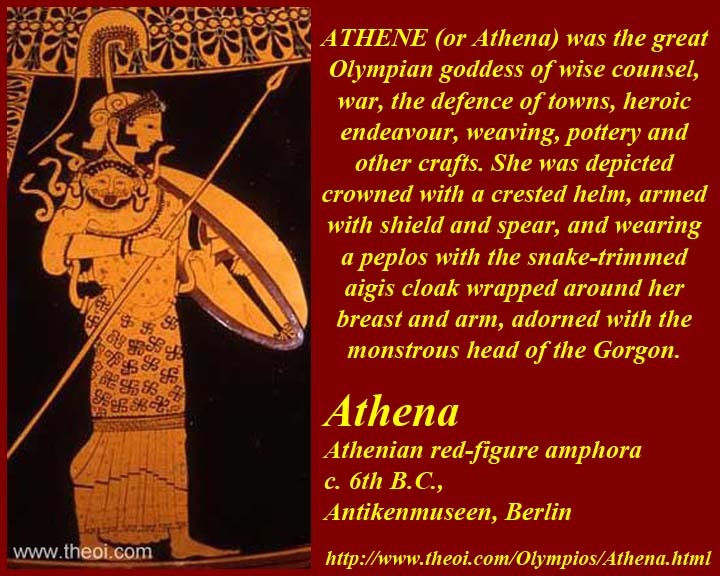 The Greek cult of the Twelve Olympians can be traced to 6th-century BC Athens and probably has no precedent in the Mycenaean period. 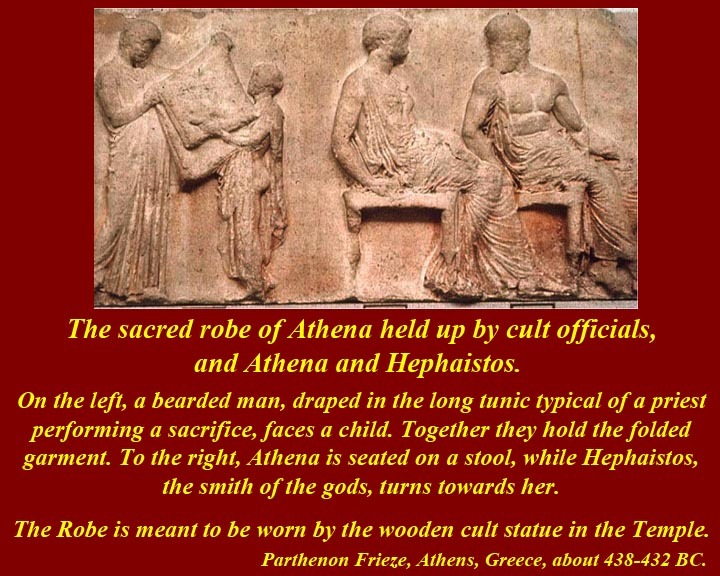 The Altar of the Twelve Gods at Athens is usually dated to the archonship of the younger Pesistratos, in 522/521 BC. 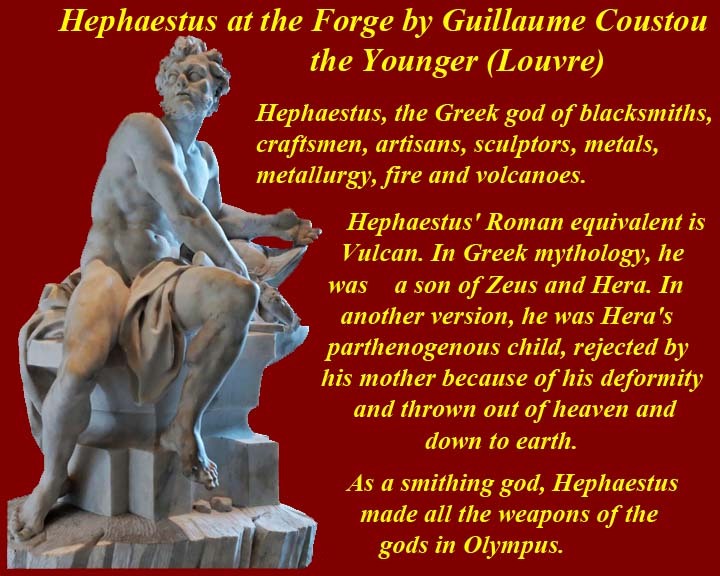 In ancient Greek religion, the "Olympian Gods" and the "Cults of Twelve Gods" were often relatively distinct concepts. The 1st century BC-1st century AD Hellenistic Pentelic Marble plaque is in the Walters Museum in Baltimore, Maryland, 600 N. Charles Street. H: 15 1/16 x W: 47 1/8 x D: 2 3/16 in. 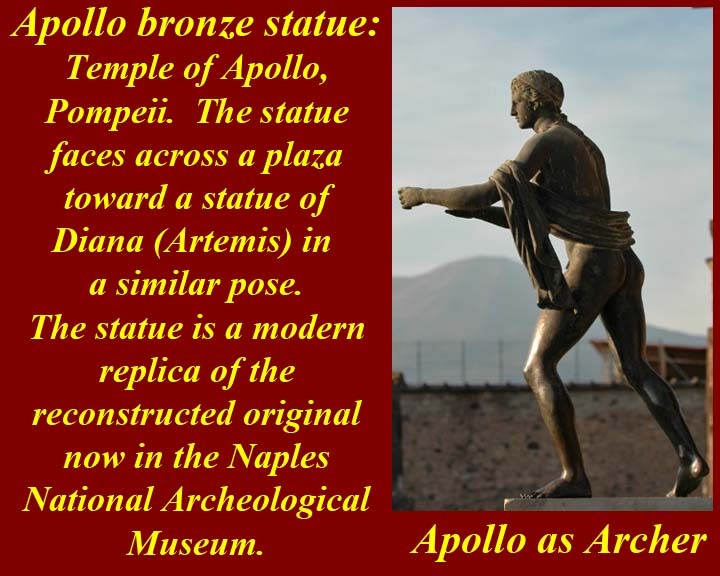 (38.2 x 119.7 x 5.5 cm), found in Taranto, Italy. 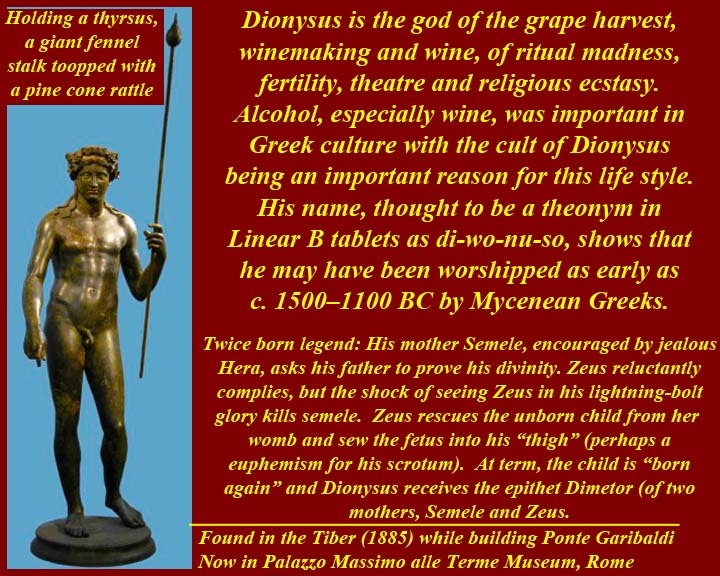 "Bacchus" was said to be from Latin, derived onomatopoeically from a barking/baying/howling sound made in conjunction with raucous laughter ("iacchus") during Dionysian observances. And "raucous", by the way, is another word onomatopoeically derived, from the sound of coughing or clearing one's throat. And the word "coughing" is, of course, also onomatopoeically derived, through Old English and Germanic languages from the sound of (what else?) coughing. 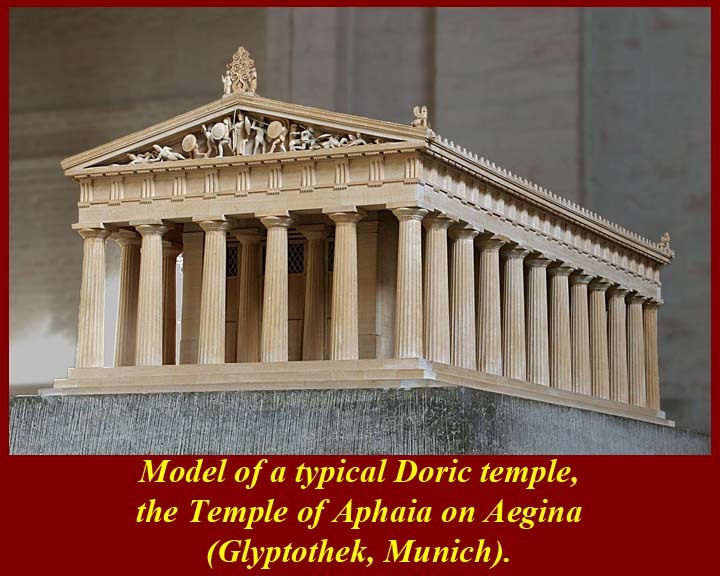 Barking/howling/baying and laughter apparently were features of Greek and Roman ceremonial life as a way of warding off evil influences and spirits. It was especially done at weddings and, of course, at funerals. 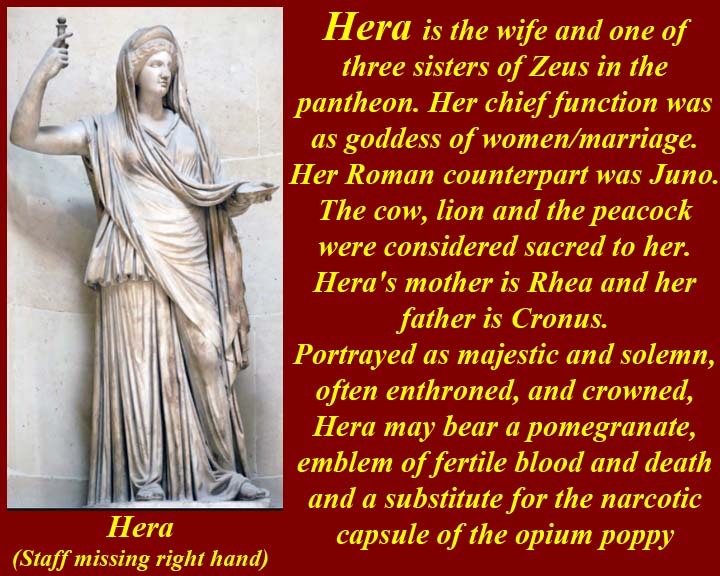 The parentage of the Greek gods and goddesses was all very confused and indefinite until Hesiod straightened it out for them. What he really did, of course was put down a majority view, with an Athenian spin, and that's what people pretty much believed from then on. As we all know from the wisdom of Terry Pratchet (RIP) it's people that make gods, not the other way around (Small Gods -- https://en.wikipedia.org/wiki/Small_Gods). 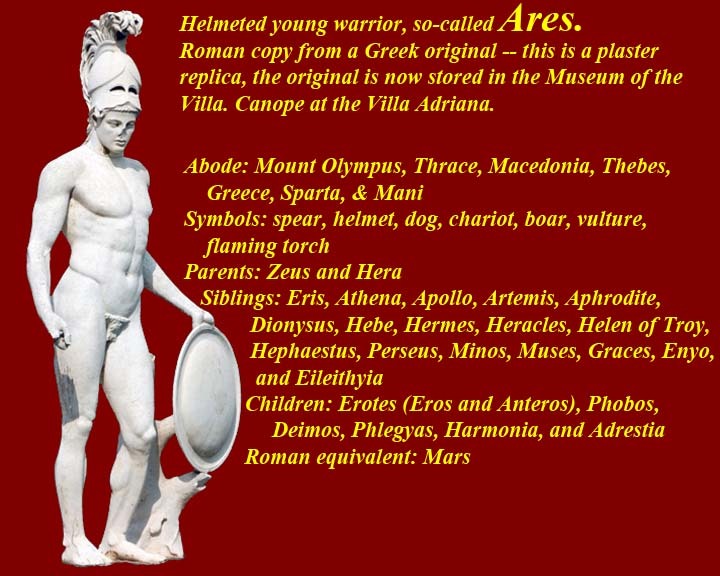 The Greek gods had to fight giants to assume their position at the top of the mount Olympus pile. 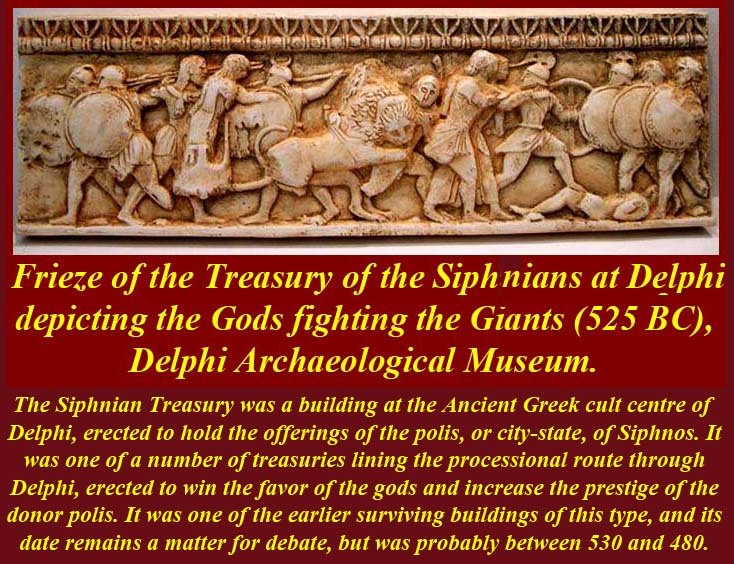 In Greek mythology, the Giants or Gigantes (Greek: Γίγαντες, Gigantes, singular Gigas) were a race of great strength and aggression, though not necessarily of great size, known for the Gigantomachy (Gigantomachia), their battle with the Olympian gods. 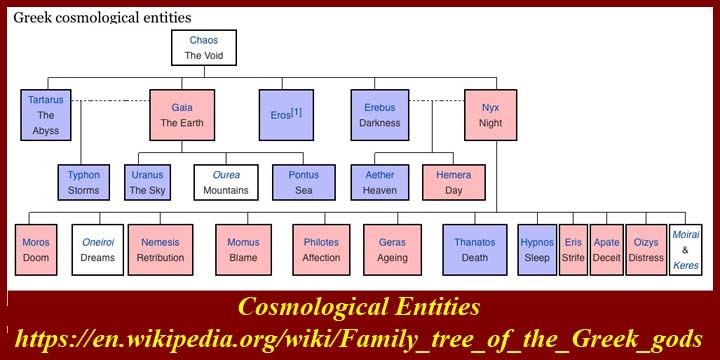 According to Hesiod, the Giants were the offspring of Gaia (Earth), born from the blood that fell when Uranus (Sky) was castrated by their Titan son Cronus. 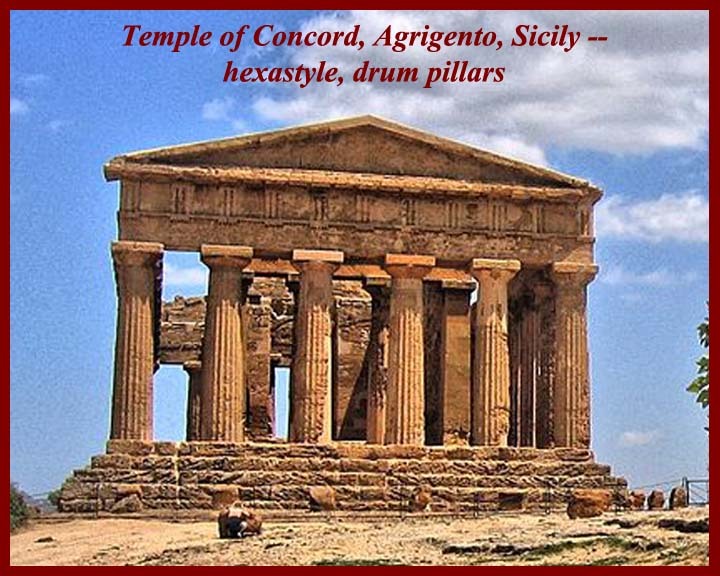 Greek temples appear to have evolved architecturally from (or perhaps were the rebirth of) megarons which were the central built spaces in Mycenaean type citadels/palaces. 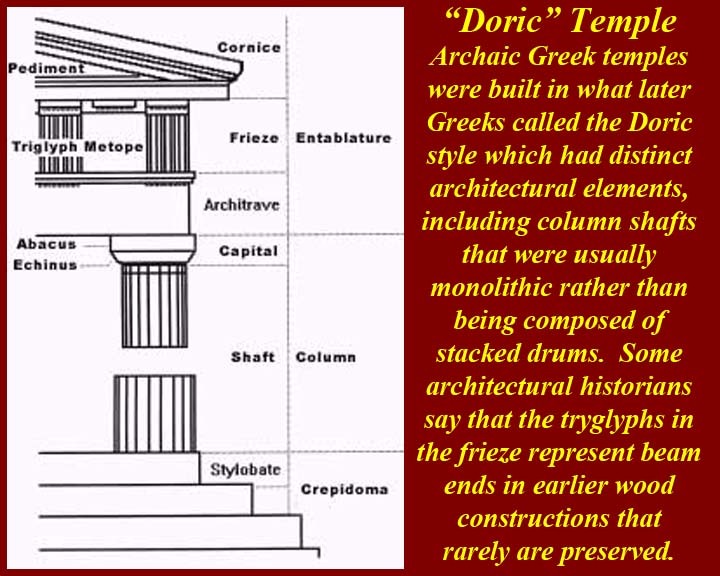 Greek temples (Ancient Greek: ὁ ναός, ho naós "dwelling", semantically distinct from Latin templum ("temple") were structures built to house deity statues within Greek sanctuaries in ancient Greek religion. 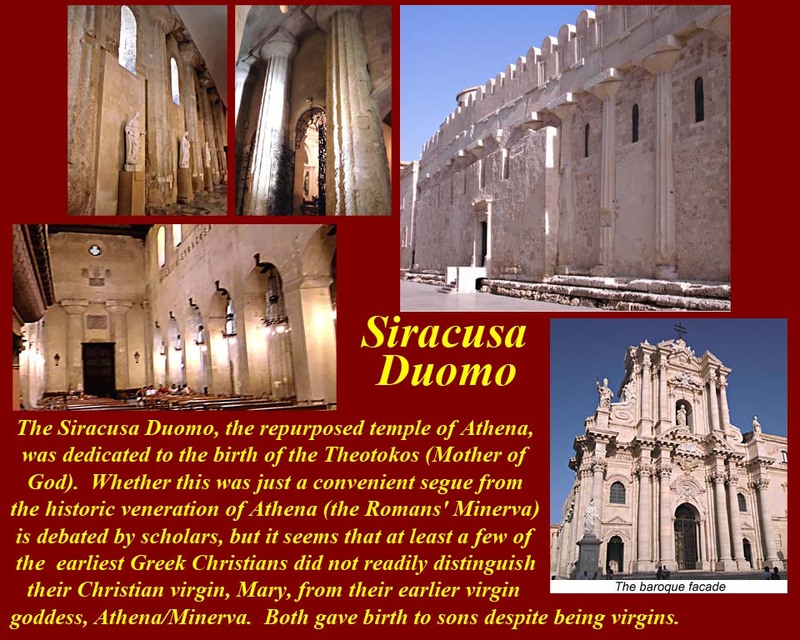 The temple interiors did not serve as meeting places, since the sacrifices and rituals dedicated to the respective deity took place outside them. 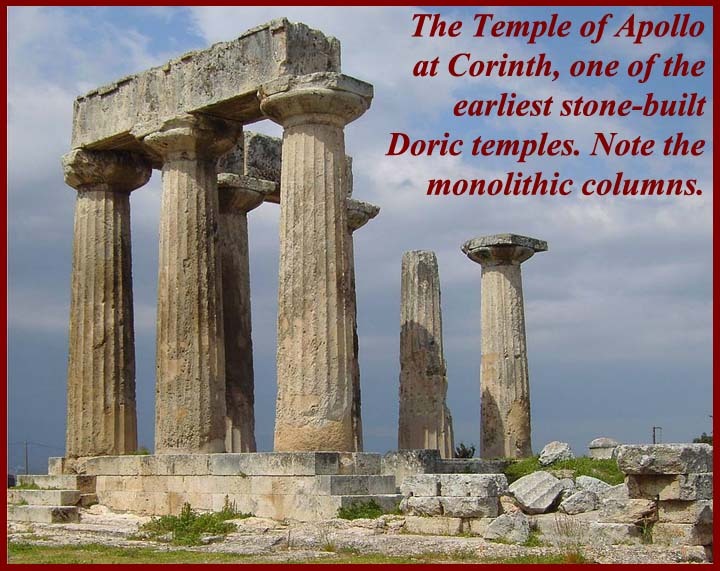 Temples were frequently used to store votive offerings. 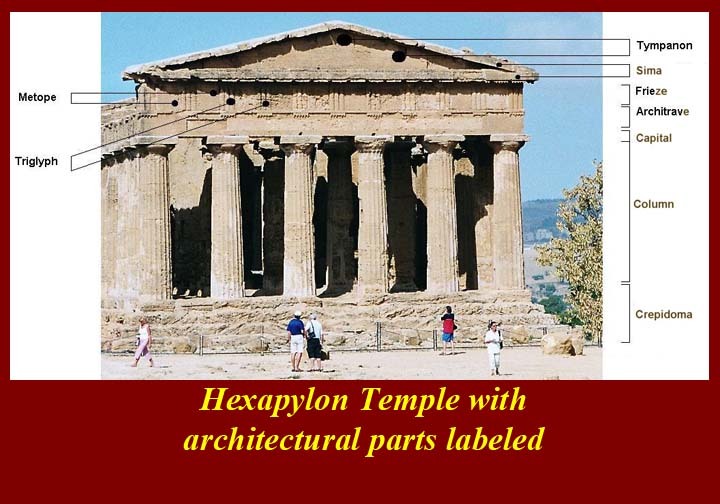 They are the most important and most widespread building type in Greek architecture.